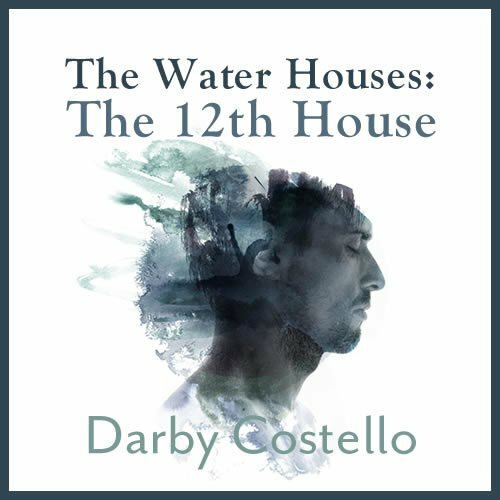 Darby completes her exploration of the water houses with this webinar on the twelfth house. The twelfth house used to be considered a wholly unfortunate realm. It was called the house of the ‘Bad Daimon.’ Planets there brought us to madhouses, hospitals, prisons and monasteries. While those realms linger in twelfth house people, we have discovered that through our willingness to serve life itself, we access realms both mysterious and wonderful. This house is associated with Pisces and Jupiter and Neptune, and it is where we find our connection to ancestry beyond memory – our ‘unremembered dead’ and Jung’s Collective Unconscious. During this webinar we shall attempt to shed light on this dimension where we find ourselves beyond space and time. This is part 3 of a 3-part series on the water houses. Missed one? Pre-recorded webinar for instant download. An in depth look at this mysterious house beyond the standard rhetoric for the 12th! 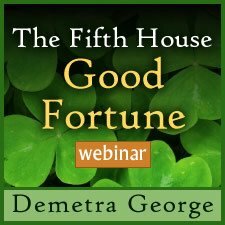 It's no easy feat to cover the depths of meaning of the 12th house and planets therein within so brief a webinar (approx. 1 hr. 45 minutes), but Darby succeeds in offering some very profound insights into how to approach navigating this murky, mysterious realm. 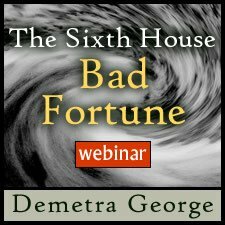 I came away with a different take on some traditional 12th house meanings and their dubious manifestations--for example, how "self-undoing" can be interpreted as the undoing of the ego self, and the 12th house as a sacred place of retreat where one may consciously choose to allow oneself to be undone in order to forge a deeper engagement with those planetary energies. Darby's highlights of case studies of notable people with 12th house planets was especially illuminating and thought-provoking--of both the agonies and the ecstasies endured by the likes of Marsilio Ficino and Teresa of Avila, Leonard Cohen, Marie Montessori, Virginia Woolf, and astro-twins Darwin and Lincoln. There was also the odd revelation of some 12th house Sun politicians (G.W. Bush, Tony Blair and Vladimir Putin). 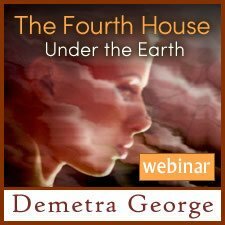 Fascinating material, and a great point of departure for continuing my own 12th house research with case studies, I also found much inspiration herein for how to approach delving into a deeper exploration of 12th house planets in the charts of clients. I would recommend for self-inquiry as well as for counseling astrologers. This was a great course. Brought many insights to my 12th house and what it has and will represent. Darby is a master teacher and astrologer. As a 12th house person, her information was accurate and well presented.